Interest in Math, Reading, Science, Technology, Engineering and Arts. In a mixed age group with children ranging from 5-6 years old, students are offered a Montessori-like setting, which is characterized by Freedom of Movement (within the limits), Guided Choices, Long Periods of Uninterrupted Inquiries, and Meticulously Arranged Activities & Materials. 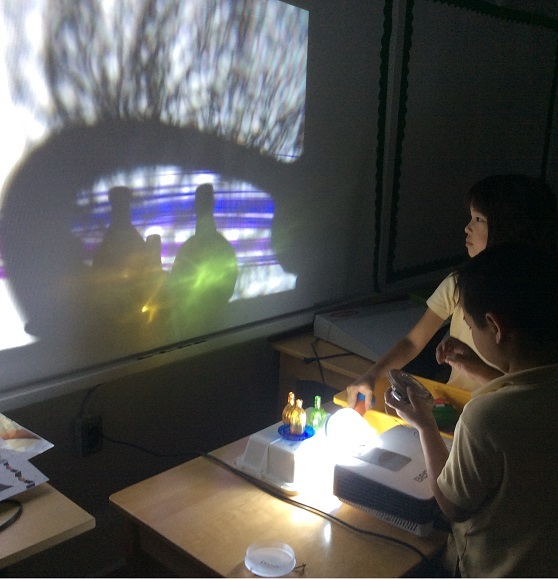 Beyond Montessori 3-period Lessons, specific time periods are allocated for collaborative and project-based learning, with the emphasis on expression and reflection. 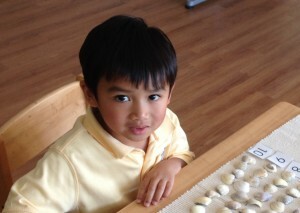 Story-telling, open-ended inquiries, and presentation of ideas encourage students to become confident and independent. Each of the students works on gaining and improving the skills per periodic evaluation. A total of 180 skills are tracked for the age group, with goals set for each term, in collaboration with the parents. From academic point of view, on average, each student spends 5 hours a week learning Math and Logic Reasoning, 5 hours in English Language Arts, 5 hours in French Language and 5 hours in Science, Engineering & Arts. All students moving to Grade 1 level are reading, and capable of doing teen number calculations. They will have lots of fun building bridges and working with Forces & Motions to apply their Math and Language skills. 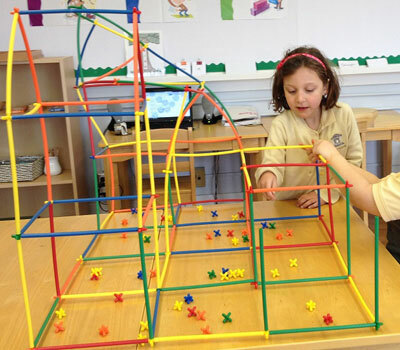 VINCI School follows the Common Core State Standards, adopting Montessori and Reggio Emilia approaches for curriculum implementation. Each student has his/her own PLP – Personalized Learning Plan with goals set or adjusted for each term. Parents and Teachers not only communicate frequently, but also are put on the same page through VINCI Connected Learning System for progress tracking. Kindergarten students 5 years and older are provided with personal home-practice tools for reading and Math.